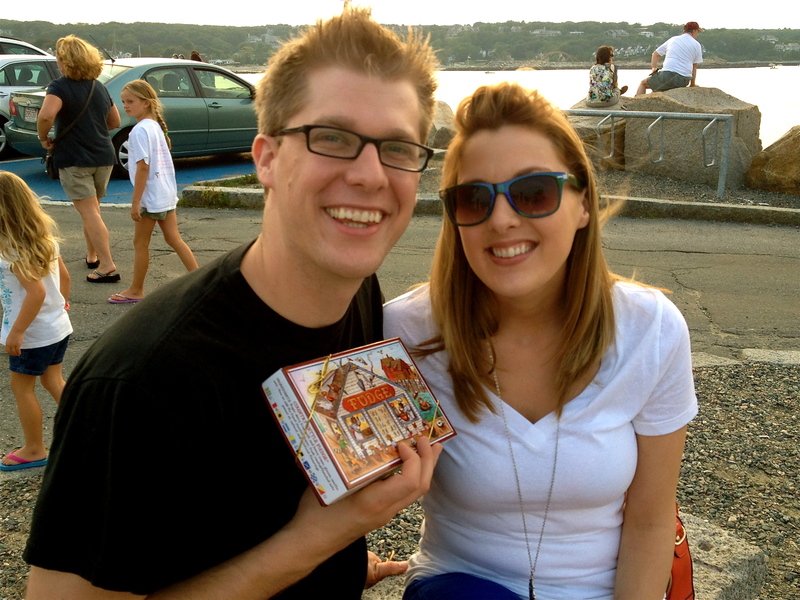 The family is celebrating together this week in Rockport, Massachusetts and embracing this adorable, historical, coastal town one lobster dinner at a time! It got me thinking about creative ways that you and your travel companions can celebrate the sites, charm, and fun at your next vacation spot. One of our family’s favorite vacation activities is enjoying the local cuisine, specifically when we can purchase or CATCH all the ingredients fresh (more on the catching part later). Our first challenge, homemade Clam Chowder. 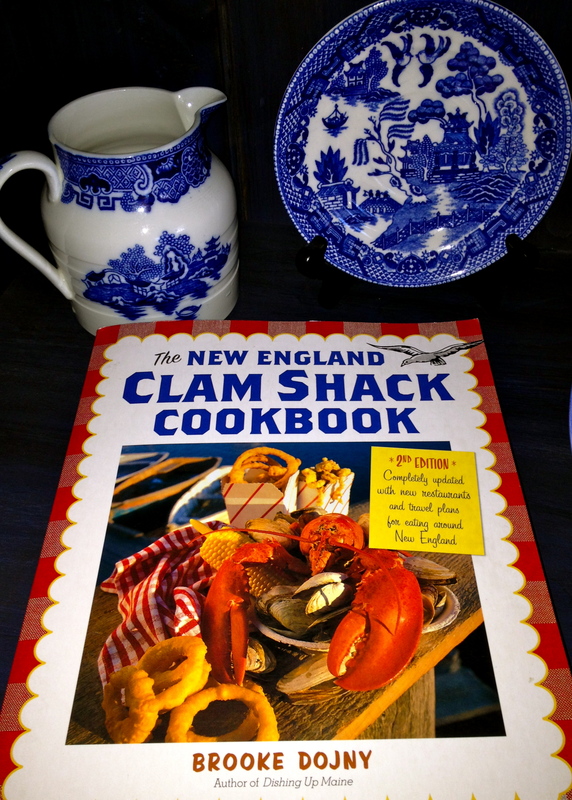 Kristian and I cooked up a delicious double batch of chowder with the help of my new New England Clam Shack Cookbook . I highly recommend this cookbook by the way! 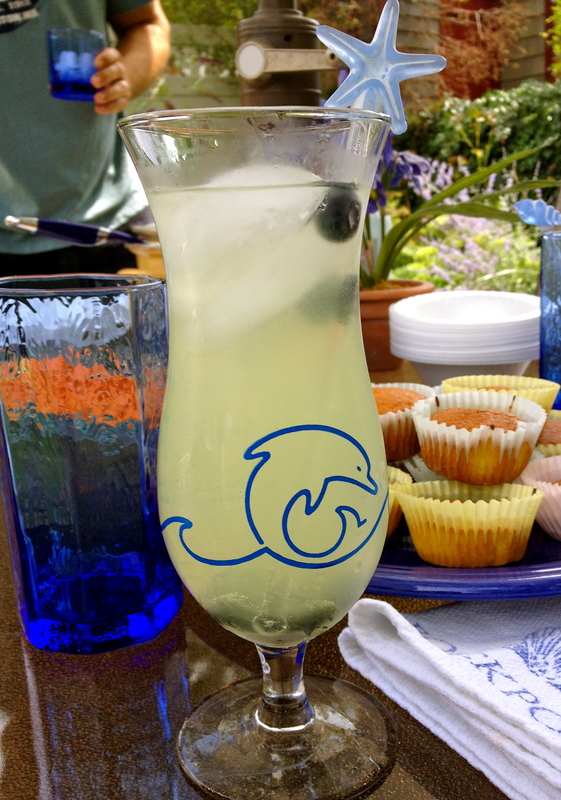 Along with the chowder we baked up some homemade corn bread and served everything, along with lemonade, blueberry cocktails. Everyone including my nephew, fully appreciated our work in the kitchen! Before taking off to your next vacation spot, take a moment to research tours, shows and or outdoor adventures that fully embrace the regional area in which you are visiting. 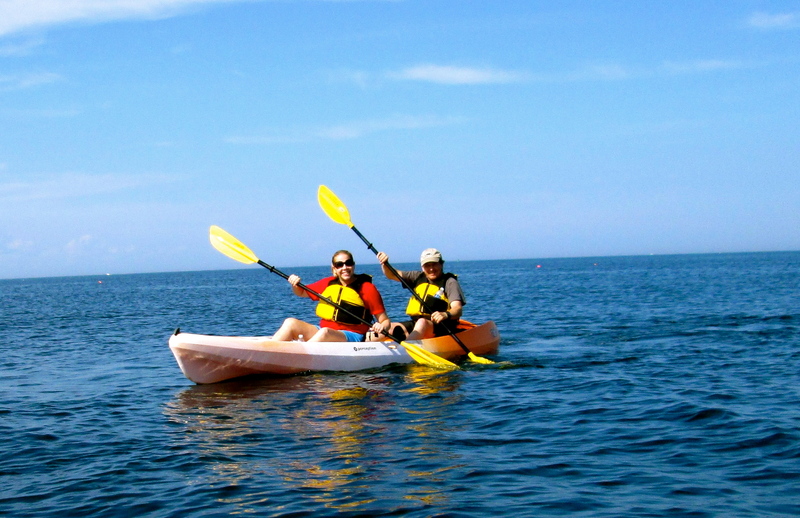 For us, Cape Ann offers a vast amount of fun on the ocean. 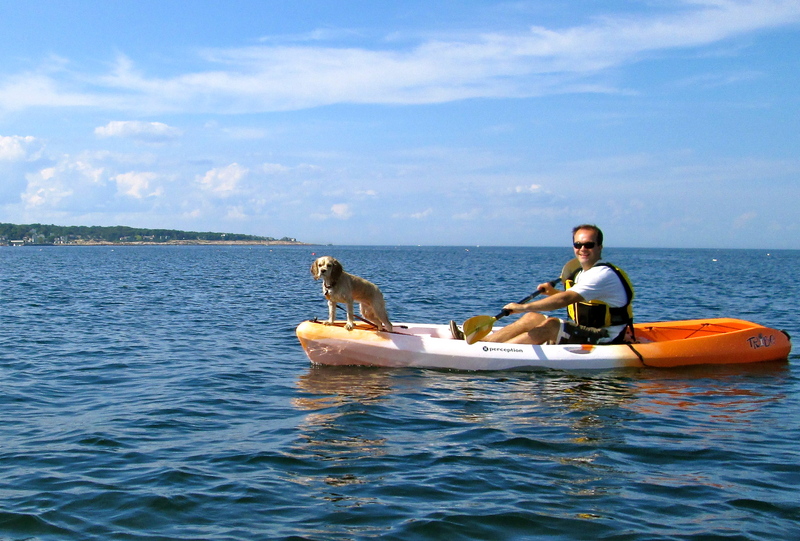 Outside of relaxing on the beautiful new england beaches, my dad, Kristian, Sadie and I rented kayaks and spent the afternoon paddling up and down the coast, stopping at the occasional islands and checking out the impressive collection of lighthouses. 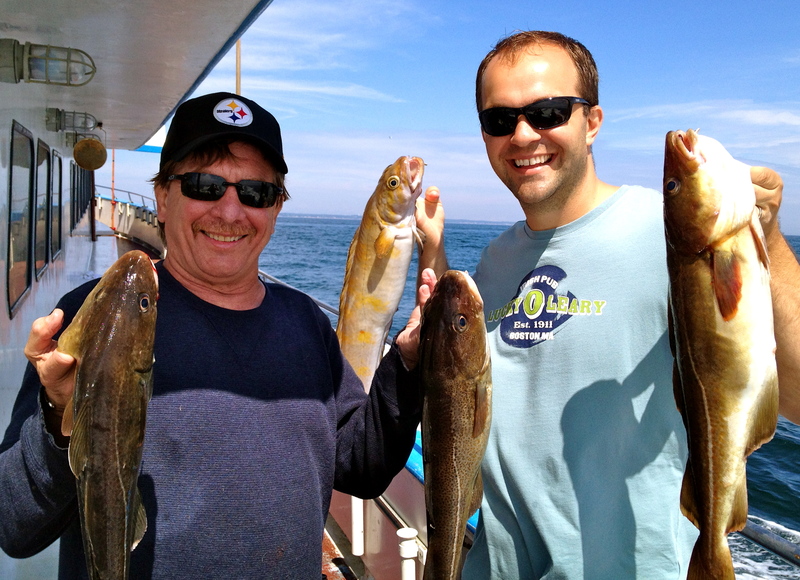 This year, I also put on my fishing boots and joined the Gloucester fisherman on a deep-sea fishing excursion. 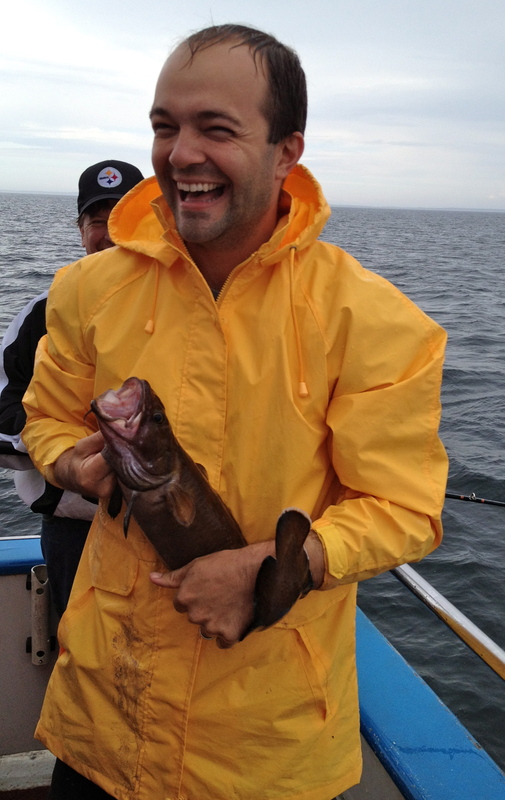 The result….Kristian, my dad and I came home with four ENORMOUS codfish for dinner (we had to throw the shark back). 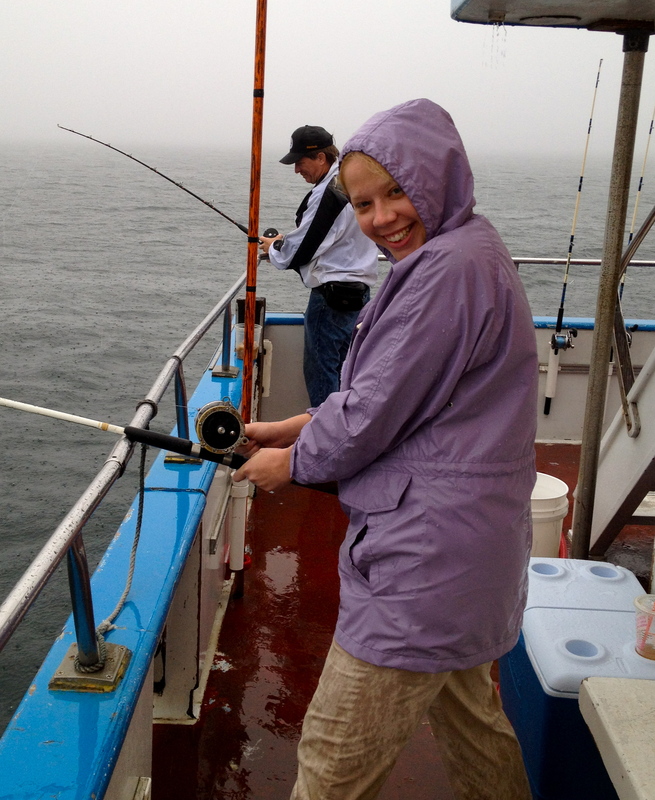 Nothing beats fresh fish that you actually caught that day. We followed another recipe from the Clam Shack Cookbook and made the most impressive Lemon-Crusted Cod for dinner. The family was impressed. In the evenings when you and your family are looking to slow down, remember that whether you are a fan of movies, books, and/or puzzles there are creative ways to celebrate your vacation spot. 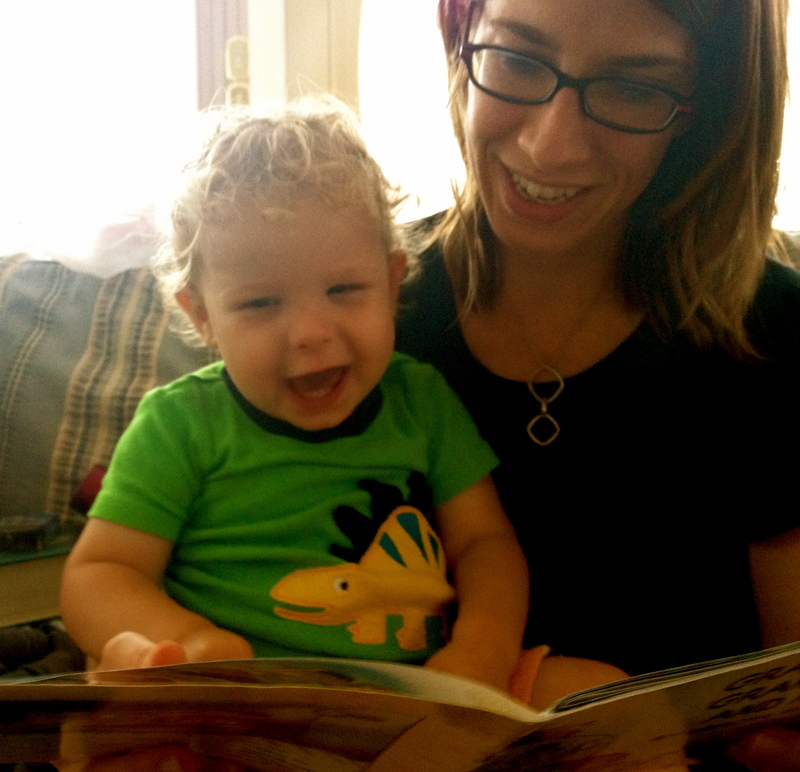 Snuggle up with a good book about the local area or enjoy reading time with the smallest member of your touring group. 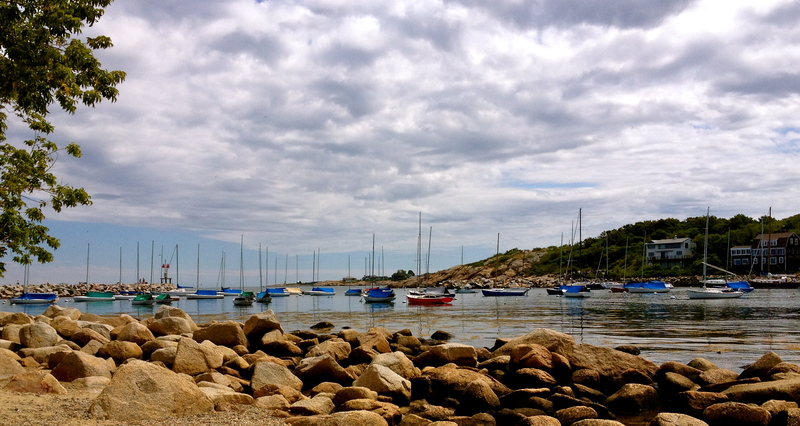 We also have been watching films that feature parts of Cape Ann. 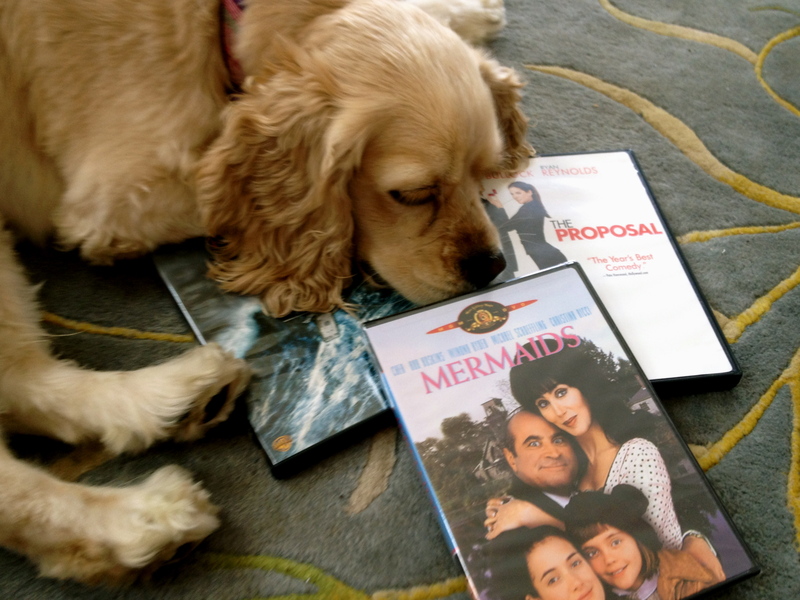 Sadie’s three favorites: The Proposal, Mermaids and the Perfect Storm of course. In addition to a tan, I think it is fun to bring home a small reminder of your time spent on vacation. My mother gifted me with this adorable stationary set downtown at The Paper Mermaid. 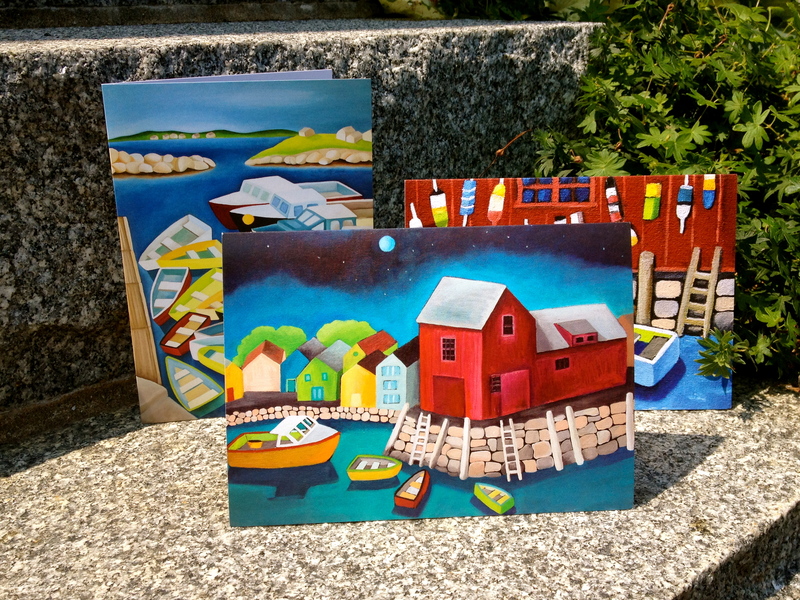 The cards feature paintings of Rockport’s famous red fisherman’s house (also known as Motif #1). Now I can share these beautiful coastal scenes with friends and family throughout the year. 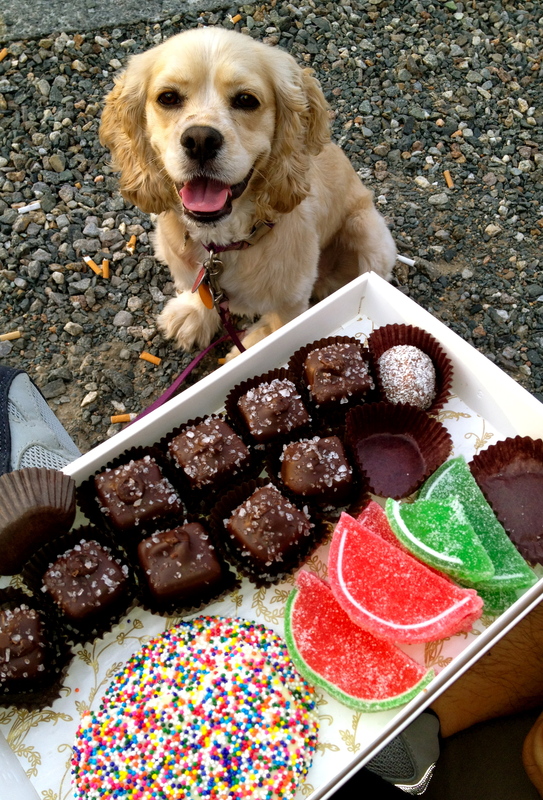 If you are more of a sweet tooth type, maybe take home some sweets from the local fudgery or candy store to share with your colleagues and friends. Unfortunately, our stash may be depleted by the time we return to Boston, hehehe, sorry everyone. What are some of your favorite ways to embrace your vacation locations? I would love to hear your stories! Posted in Culinary Creations, Family Matters, Jubilee, Sibling RevelriesTagged Boating, candy, Cape Ann, corn bread, Deep sea fishing, Family Vacation, Glouchester, Kayaking, MA, new england, new england clam chowder, Rockport, souvenirs, vacationBookmark the permalink.